Excellent for a wide array of cleaning and dressing wound sites, skin prepping, as well as other procedures. 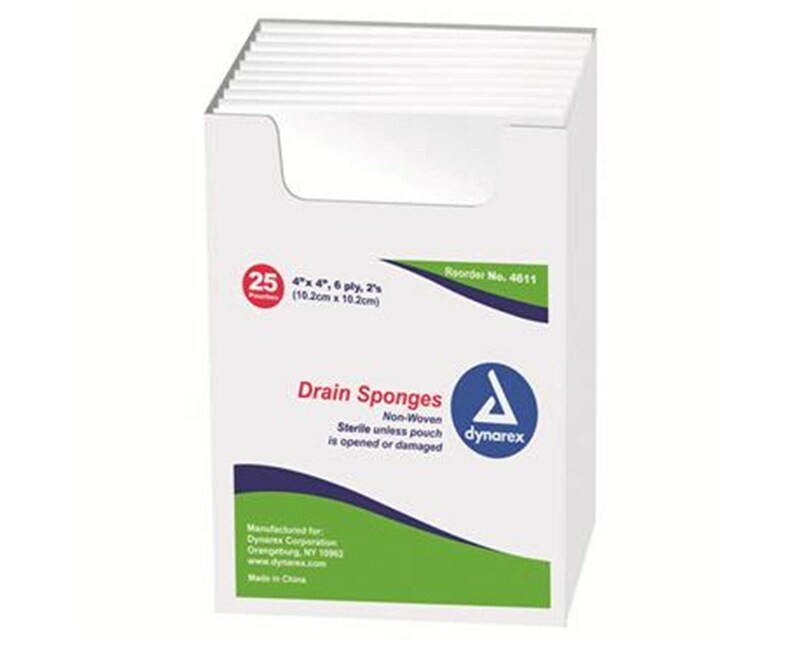 Dynarex Non-Woven Drain Sponge is a sterile, highly absorbable dressing. Excellent for a wide array of cleaning and dressing wound sites, skin prepping, as well as other procedures. 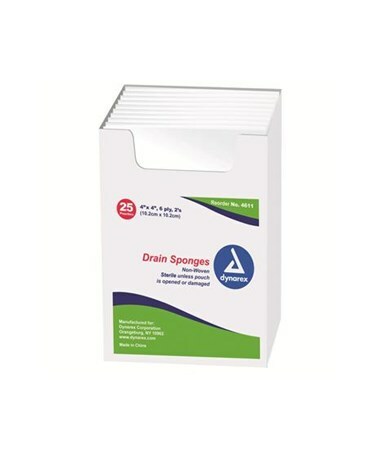 Dynarex Non-Woven Drain Sponges are less linting than standard gauze making it a perfect choice for use in site prepping, cleansing, and dressing. Packaged in peel down pouch for effective aseptic handling. Pouches packaged in open trays for quick access.